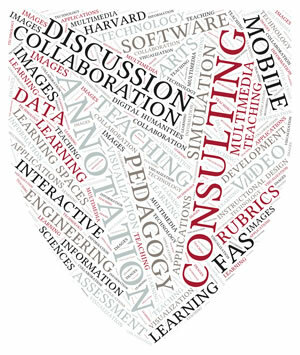 HUIT Academic Technology provides a variety of technologies and consultative services to support teaching learning in the Faculty of Arts and Sciences. We work with Faculty, Teaching Staff, and Students to find tools that meet teaching and learning goals, and to identify, integrate, or develop new technological options. Core Tools and Platforms supported at Harvard include the Canvas learning management system, Google Apps for Harvard, Lecture Capture, Blogs, Wikis, and Qualtrics survey tools. Other Supported Tools include active learning technologies (Turning Technologies, Learning Cataytics), iMovie and iBooks, temporal and geospatial applications (WorldMap, Timeline.js, Simile), and Flashcards, as well as pilots of annotation and visual tools (AnnotationsX, CritiqueIt, Image Media Manager). 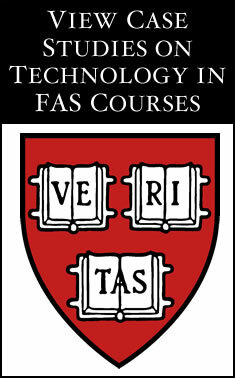 In addition to supporting tool development and integration, HUIT Academic Technology partners with faculty and teaching staff members to integrate additional third-party technologies into FAS courses.